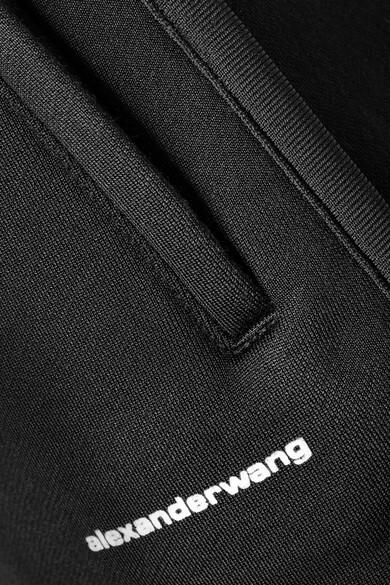 Though they are definitely sporty, alexanderwang.t's shorts will look really cool with an oversized white shirt or your favorite tee. They're made from French cotton-blend terry that's coated for a soft sheen, and stamped with the label's logo at the hem. Prep your legs for the micro length with some body oil. Shown here with: Alexander Wang Jacket, rag & bone Belt bag, Unravel Project Sneakers, Les Girls Les Boys Tank.